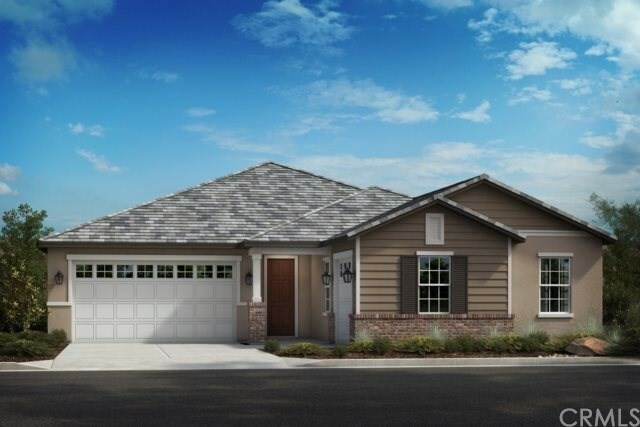 Brand new KB Home with an outstanding open floorplan. This home is in a Cul-de-sac, on a large lot with an extended covered patio and has room for a pool or playground, just let your imagination run wild. Inside the home features stainless steel Whirlpool appliances, a tankless water heater by Rheem and upgraded kitchen cabinets with beautiful quartz counter tops. Home is under construction; photo is a rendering of the model.